Call or see your physician if you have any health concerns. 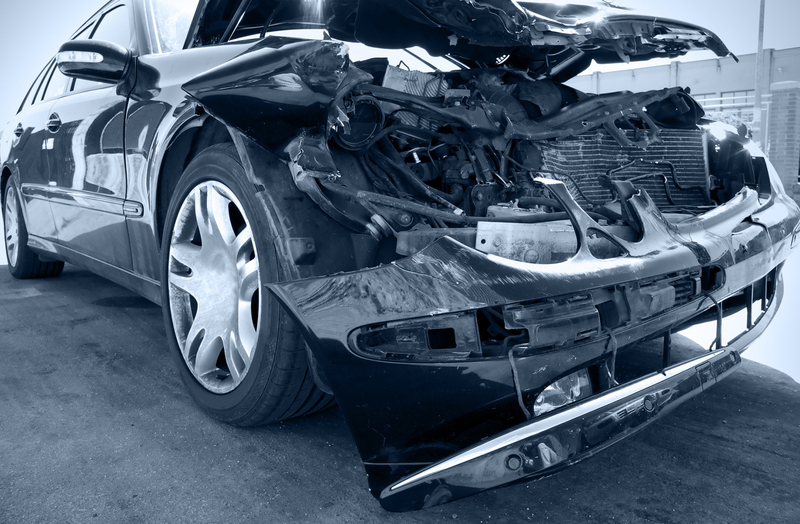 Report the accident to the Department of Motor Vehicles within 10 days if someone is injured or killed or if damage to either car is more than $750. Make a claim with your insurance company and/or the other driver’s insurance company to pay for your injuries and losses. Contact your insurance company and/or a lawyer if you are sued. If you hit a parked car or other property, try to find the owner or driver. If you cannot, the law says you may drive away only after you leave behind, in a conspicuous place, your name, address and an explanation of the accident, and the name and address of your car’s owner (if other than yourself). You also must notify the local police or California Highway Patrol (CHP) either by telephone or in person as soon as possible. You must call the police or the CHP if the accident caused a death or injury. An officer who comes to the scene of the accident will conduct an investigation. If an officer doesn’t show up, you must make a written report on a form available at the police department or CHP office as soon as possible. If you were injured due to the negligence of another, regardless of the nature of the underlying accident, it is important to contact an experienced Stockton accident attorney to discuss your legal options. Sadiq Law Firm has the resources and expertise to aggressively litigate your case in court, fighting to get you just compensation for your injury.